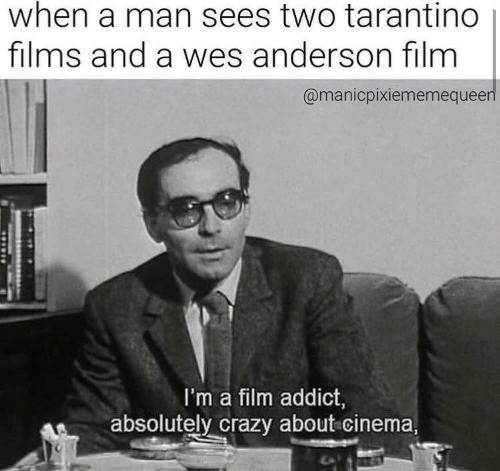 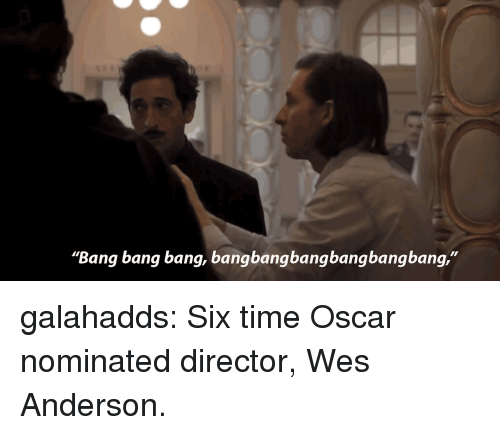 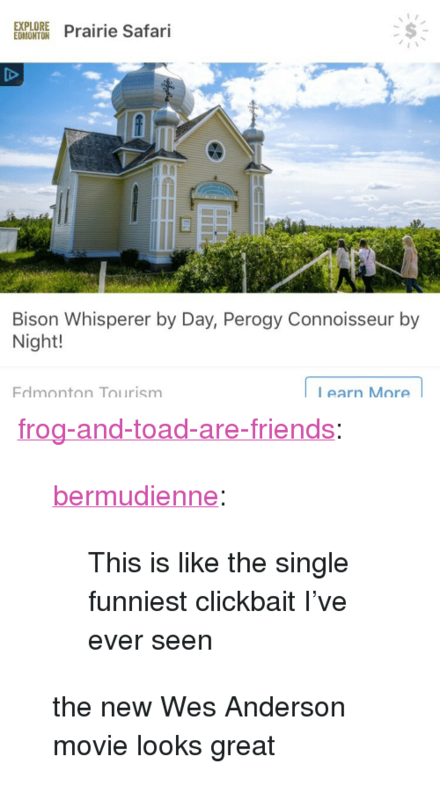 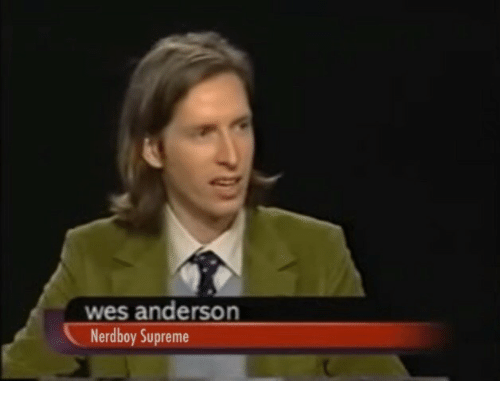 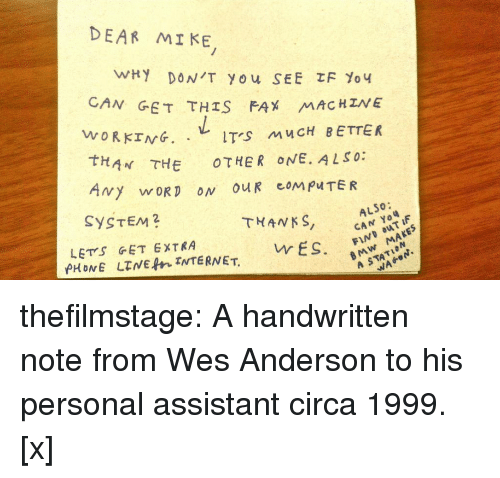 Tumblr, Bang Bang, and Blog: "Bang bang bang, bangbangbangbangbangbang," galahadds: Six time Oscar nominated director, Wes Anderson. 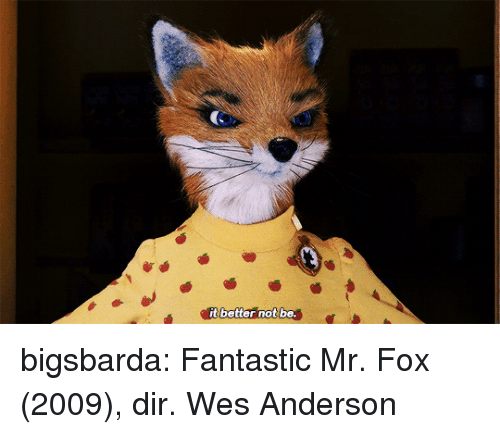 galahadds: Six time Oscar nominated director, Wes Anderson. 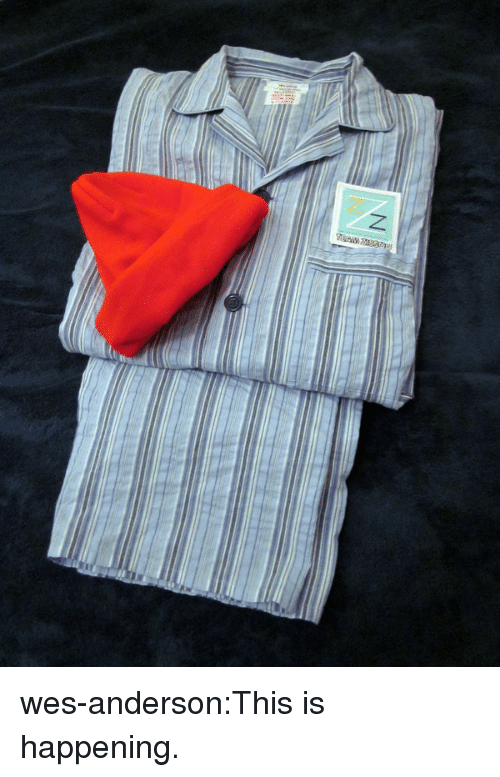 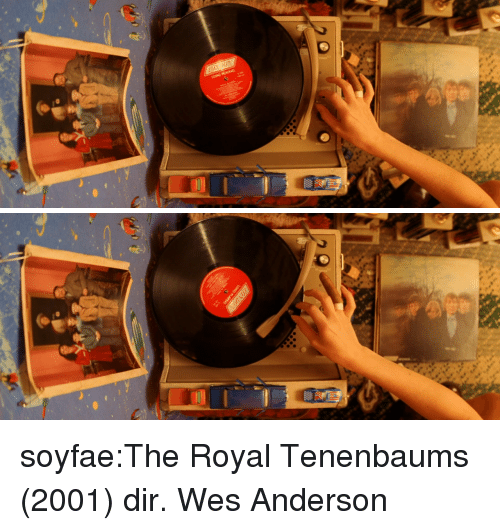 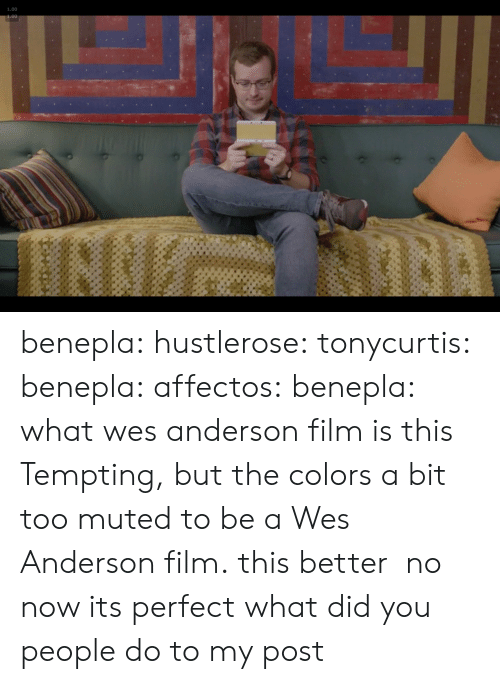 Tumblr, Blog, and Http: wes-anderson:This is happening. 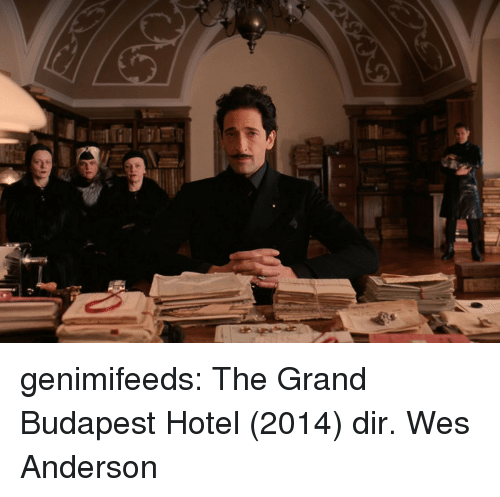 Jude Law has some AWESOME Wes Anderson facts up his sleeve! 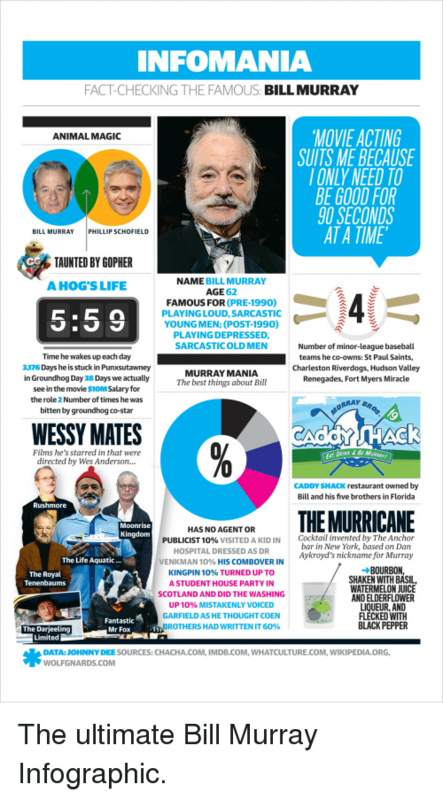 The ultimate Bill Murray Infographic.